According to a recent survey, most kids need help when it comes to managing their money. In 2010, the 11th Annual Junior Achievement/Allstate Foundation Teens and Personal Finance Survey revealed an “alarming majority” of teens who admit that they “lack the knowledge to understand and effectively reconcile spending and consumption with saving and investing.” Almost half the 1,000 teens surveyed nationwide said that they were unsure how to invest money, and 22% said they don’t budget their money. In response to why they don’t budget, 55% said that parents “take care of all my expenses” while 53% answered, “It’s not necessary, given the amount of money I have.” The future of our economy may hinge on these students acquiring important knowledge about money to be successful in their careers and personal money management. Mark Anthony Grimaldi is an author, portfolio manager, and economist. He has had a successful career in money management, taught securities training classes, successfully forecasted national financial trends, and created a unique method to manage no-load mutual funds which has a patent pending. 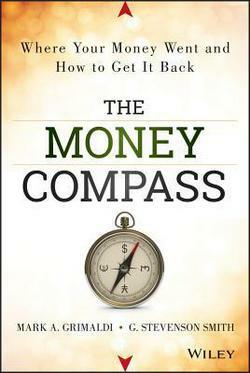 Money Expert Mark Anthony Grimaldi has written a book for adults called The Money Compass (available through Amazon.com ISBN-13: 978-1118614457 or ISBN-10: 1118614453). Millions of once rich and well-off Americans have watched their assets disappear in the Great Recession. This book looks at specific political and financial events that put Americans into complex situations where they are required to make decisions that they are unskilled to make. It then gives tools so that people can have a proactive role in their own financial health. We have asked Mr. Grimaldi to give us answers to common money questions asked today by kids. Amazing Kids (AK): Parents always tell kids to figure out what they need versus what they want to determine what to spend their money on. What is your advice on how best kids can do this? 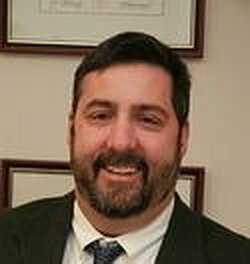 Mark Grimaldi (MG): Most kids don’t start understanding the difference between a need and want until they reach their teens. To help with that process, my wife and I would take our children grocery shopping. When they asked for a particular cereal or snack we would ask them if they “wanted” it or “needed” it. Even young children seem to grasp the concept that food is a “need” but some food is a “want”. Over time this lesson will carry over to non-essential things. AK: Kids sometimes wonder if their parents make enough money. Why do you think this may be important for their future money management? MG: I believe those children who worry about their parents’ finances are way ahead of the curve. This means they have at a basic understanding that money is earned and is in limited supply. AK: What are some good ways parents can teach their children the value of a dollar? MG: I like to equate money with time. If your teenager makes $8.00 an hour at his/her after school job and they want to buy a video game that cost $40.00. Explain to them that the game costs 5 hours of their time to earn. This will help them realize that time is money. AK: Many kids have money in boxes under their bed. If they want to pick their first financial institution to put their money into, what things should they consider? MG: I think that a great place to start saving is at the local savings bank. They should go with the parent/guardian to the bank and open a saving account. This will break down the barriers of intimidation that most kids (and many adults feel) regarding those big “ugly” banks. AK: Parents are always telling their kids to start saving money for college now. Why is saving money for college early important? MG: Building on my above answer, once the savings account is opened, it is a good idea to have them make regular deposits. Once they see their balance growing, explain that time is money. More specifically that money grows over time. AK: When looking at the cost of an item versus the value of an item, what are some important things to consider? MG: I touched on this earlier. We want “value” when we purchase an item. What “value” is to an economist is: Are you getting more than you are giving up? Question to ask yourself is “Is that video game or pair of sneakers worth $100 in time?” Meaning, if it took you 6 months to save $100, are those items worth 6 months of your hard work? This exercise will get them thinking about the true “cost” of the item, which will make the “value” decision easier. AK: We know about cash, and we occasionally get a gift card from an aunt or uncle. However, we have heard about ATM cards, Gift Cards, Debit Cards, and Credit Cards. What are the various ways to spend the money we have and how are they different? MG: This is probably the most important question. There are only two ways to spend money. First is cash (debt card, gift card): This is money you have from prior activities such as work or a gift, etc. Second is credit: This is money you borrowed from somebody and in return you make a promise to pay it back plus interest. This means you just gave that other person your future earnings. You now have to work for that person until all the money plus interest is paid back. When you buy something on credit you need to be sure you understand what you are committed to. AK: If you could give kids one good piece of money management advice that has made a difference in your life, what would it be? MG: Always save something no matter how small. Every time you get money, either by working or a gift, put some of it in your bank account. AK: Describe a mentor in your life and what they did that made an impact on you. MG: A defining moment in my life was when I was 7 my mom took me to the local bank and I opened a savings account with $10 I got for Christmas. When I went back six months later to deposit the $20 I got on my birthday, the teller handed back my passbook and I saw that my balance was $30.01. I earned a penny by doing nothing!!! It may not seem much now, but I was hooked from that moment on. Thanks Christine. We hope both kids and parents do. We try to make all our Mentor Interviews relate to the whole family. Pass the word! I enjoyed this article very much. I think all parents should take the time to read this.